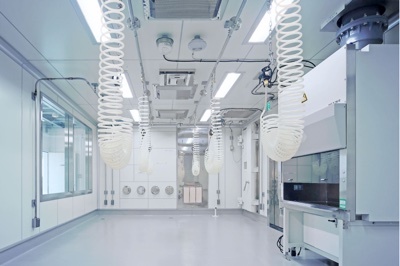 Healthcare professionals are facing a looming deadline: pharmacies, hospitals, patient treatment centres and physician practice facilities must meet the USP <800> standard by 1 December 2019 and a prominent area of concern is refrigeration within cleanrooms. Set into motion by the United States Pharmacopeia (USP), the General Chapter <800> “Hazardous Drugs – Handling in Healthcare Settings”, has introduced stringent regulations on the storage of hazardous drugs (HDs) and a traditional compressor-based refrigerator is no longer up to the task of meeting compliance. These standards are critical in ensuring a proper degree of safety for both patient and staff. Close to eight million healthcare employees in the US alone are potentially exposed to HDs every year, according to the Centers for Disease Control and Prevention (CDC). Meeting USP <800> requirements will help in the quest to minimise the risks associated with the improper storage and handling of HDs. Yet, for healthcare facilities working to meet this more rigorous environmental and safety criteria, the road is not easy. 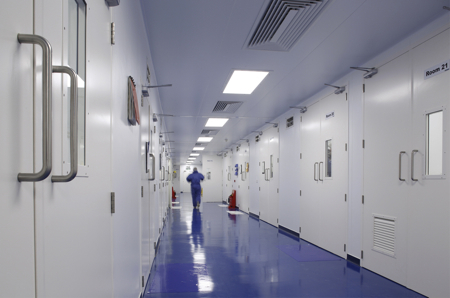 Potential cleanroom renovations could cost more than US$100,000 and take months to complete, disrupting employee workflows. Many facilities will need to make major changes that will impact and interrupt day-to-day work, processes and purchasing decisions. However, if facilities fail to comply with USP <800> requirements in time, they face fines, suspensions or even loss of licence. Refrigeration is an industry that has been untouched by innovation for 100-plus years. The “modern” compressor-based refrigerator in use today was invented in the 1800s. While the world has changed, medical refrigeration has not. The medical-grade refrigerators seen in pharmacies and hospitals have noisy compressors, dust accumulating coils and contain harmful or toxic refrigerants like freon. Contamination is a primary concern when it comes to refrigeration in the cleanroom. The mechanical forces associated with the operation of the compressor in these refrigerators create fatigue and failure, prompting the systems to wear down with use and dispel particulates into the air over time. 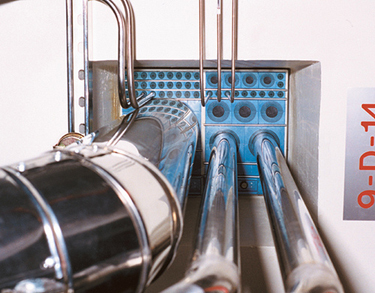 The compressors’ proximity to the condensation trays can often promote mould and fungus growth, disrupting the once sterile atmosphere of a cleanroom. Compressor-based units are challenging to clean, making them difficult to sanitise. It is quite laborious to completely disinfect a standard refrigerator with its variety of coils and electrical panels that trap dirt and contaminants. Wheel-less refrigerators inhibit cleaning under the unit, posing a threat. All traditional refrigerators have cracks and crevices in the interior shelving and drawers that are difficult to reach and facilitate microbial growth. Another problem is heat. The mechanical components within a compressor often get very hot, which can cause elevated temperatures within cleanrooms. 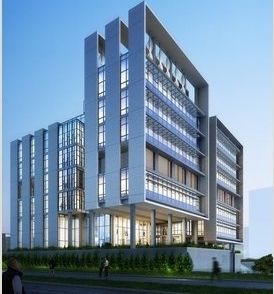 Not only does this force HVAC systems to work in overdrive, creating an inefficient operation and raising energy costs, it also creates an environment not up to par with USP regulations, which require cleanrooms to maintain a temperate of no more than 20°C and a humidity of no more than 60%. For facilities with legacy refrigeration units, meeting the above ventilation standards will require a considerable construction investment: to accommodate a conventional refrigerator to store hazardous drugs, specific design changes are required to house the troublesome compressor outside the controlled environment and ensure external ventilation. Meeting compliance in this manner will likely cost thousands of dollars in renovations and take months to complete, bringing normal cleanroom operations to a halt. Despite these many challenges, compressor-based refrigeration has long been thought of as a “necessary evil”. But, USP <800> is raising the stakes. With something as critical as patient safety on the line, healthcare professionals must closely examine whether their refrigeration is potentially putting patients at risk and simultaneously putting their facility at risk for non-compliance with this new regulation. A faulty refrigerator could now result in state board fines, suspensions or even licence loss. It is time to seek out a new solution and medical-grade refrigeration technology that is fit for the modern world. What if it was possible to cool without a compressor at all? New advances in thermoelectric technology are making this a reality today, by offering innovative solid-state alternatives to the conventional refrigerator. Using semiconductor chips and a solid-state refrigerant loop to generate cold, these units are more precise, offering up to 10 times better temperature stability compared to standard refrigerators. Solid-state refrigeration also dramatically eases the compliance process for healthcare facilities, largely due to the removal of the compressor and any mechanical parts. The absence of these components means these solid-state units are cleanroom-ready right out of the box. Unlike units with compressors that generate and disperse particulates, solid-state refrigerators do not require added measures for venting outside of the room. 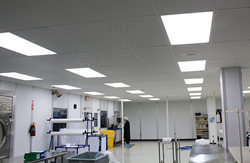 They can simply be placed in the cleanroom and are ready for immediate use. This is a significant advantage. Hospitals and pharmacies can remain compliant and meet USP <800> ventilation requirements without having to undergo construction projects, avoiding any renovation costs and disruptions to normal employee workflows. 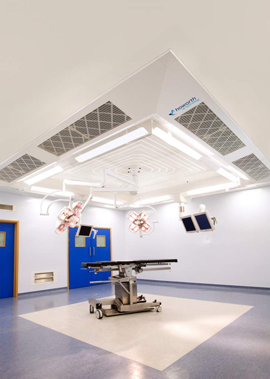 Depending on the size and shape of the cleanroom, these ventilation construction savings could total more than $100,000. 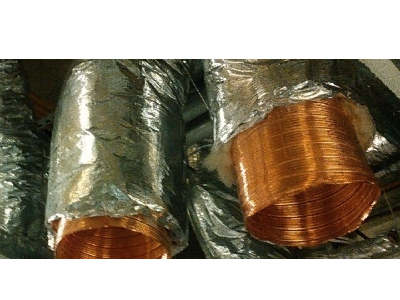 In addition, solid-state offers lower heat output. Lacking a compressor’s mechanical components that usually generate unwanted heat, solid-state cooling delivers 40% energy savings and a cooler working environment for employees. This reduction in heat emission helps facilities to stay within the room temperature and humidity ranges mandated by the USP while lessening the burden on the facility to maintain temperature and environmental control. Maintaining the cleanliness of a cleanroom refrigerator is easier with solid-state units. Without a compressor system to clean and maintain, healthcare professionals can do away with the need for grease or oil lubricants. Instead of spending hundreds of hours attempting to service traditional refrigerators in hard-to-reach places, solid-state units feature modern and simple designs that are easier to clean. By being easier to access, solid-state units help eliminate the risk of particulate contamination, and the growth of mould, fungus and bacteria. Solid-state units also have fewer moving parts, thus are less likely to weaken and fail over time. This translates to less preventive maintenance and upkeep, increased dependability, and simpler service and repairs when needed. Eliminating the compressor by using solid-state units is an effective way to drastically reduce the cost of ownership over time as well as maintenance. To fit the needs of today’s modern world, it is only appropriate that these new refrigerator units should also include in-unit technology that makes temperature control easier for employees working in cleanrooms. While overall, solid-state technology provides unprecedented temperature stability and uniformity (never exceeding the 2-8 °C range during stringent testing protocols), as a cautionary feature the units are equipped with alarms that will report temperatures if they do go out of range. 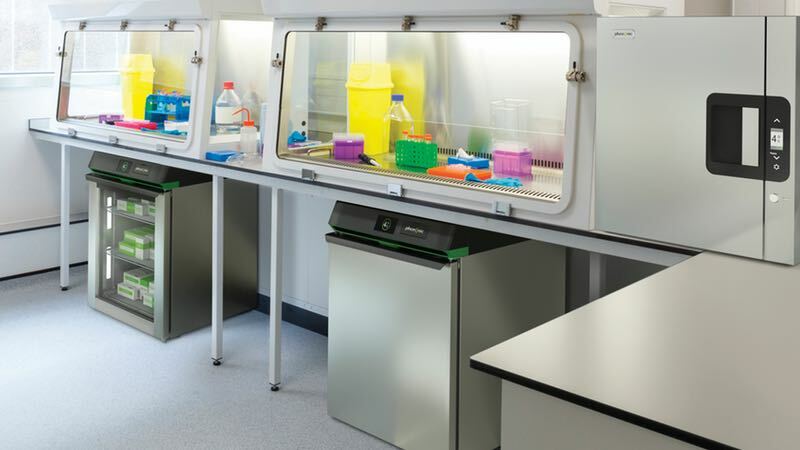 These medical-grade refrigerators use constant monitoring and continuous adjustment to deliver far more stable temperatures for safer storage of hazardous drugs. This way, healthcare professionals can focus on maximising patient care and patient safety, instead of wasting time monitoring temperatures to ensure compliance. As the healthcare industry continues to improve the standard of care, it is crucial to pay close attention to the units that keep hazardous drugs safe for patients. Recent advances in cooling technology are bringing sorely needed upgrades to the dated practice of refrigeration, making it easier for healthcare facilities to meet USP <800> compliance with solid-state refrigeration. 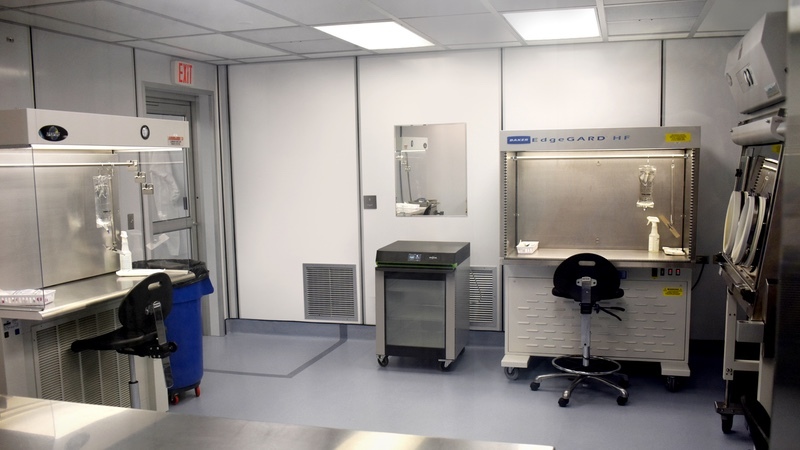 Before developing costly construction plans to meet requirements, healthcare professionals should consider switching to a more modern refrigerator unit – one that has been specifically designed to meet the rigorous demands of a cleanroom environment.